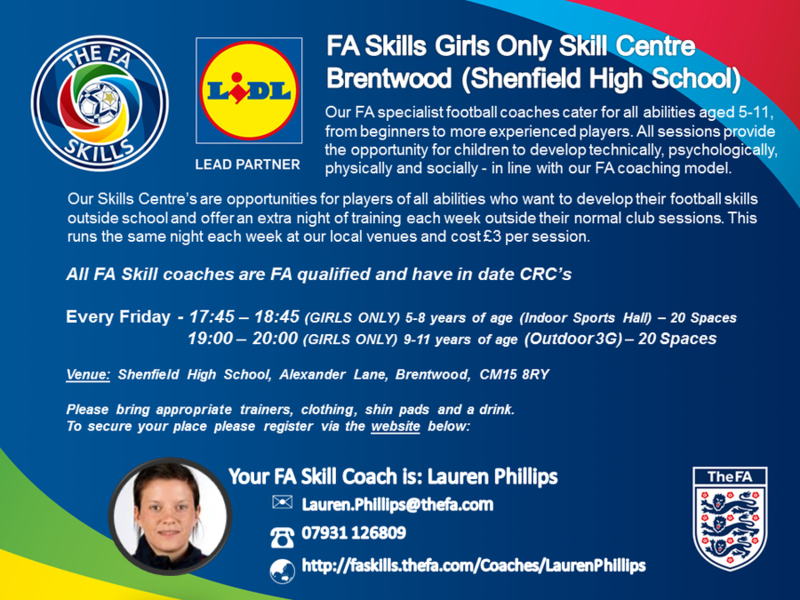 In the Brentwood area, thre is a new GIRLS ONLY FA Skills Centre for 5 – 11 year olds. The FA after school Skills Centres are weekly football coaching courses for children who want to improve their football skills outside of school. They are open to girls of all abilities to our Skills Centres, where they can learn new football skills and develop at their own pace.